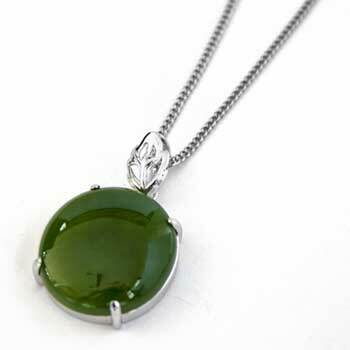 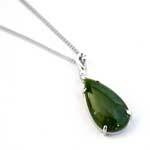 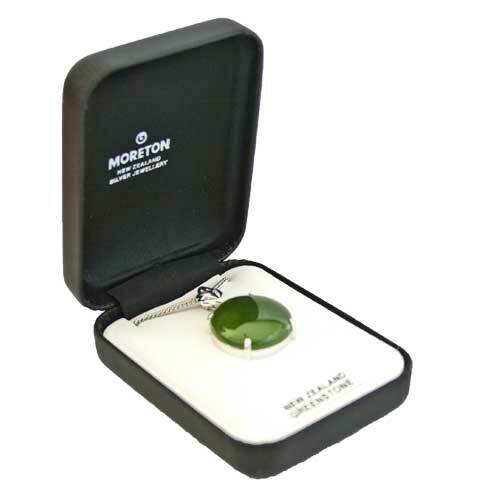 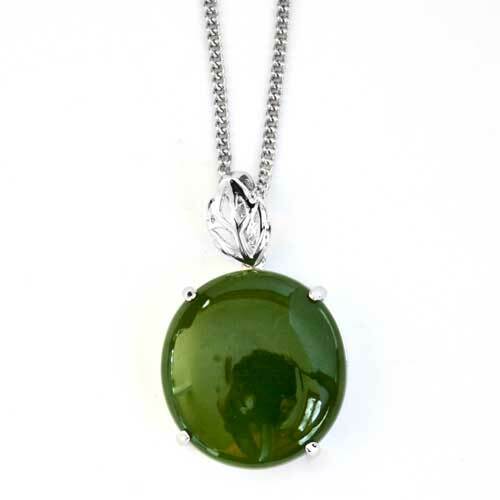 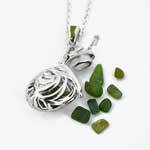 Brilliant in every way, this New Zealand Greenstone & Silver pendant features a rich dark round greenstone in a classic four prong setting by Moreton Jewellery. 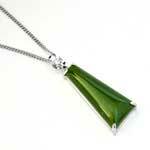 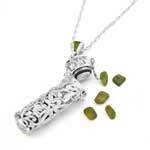 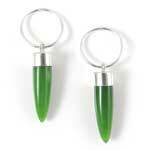 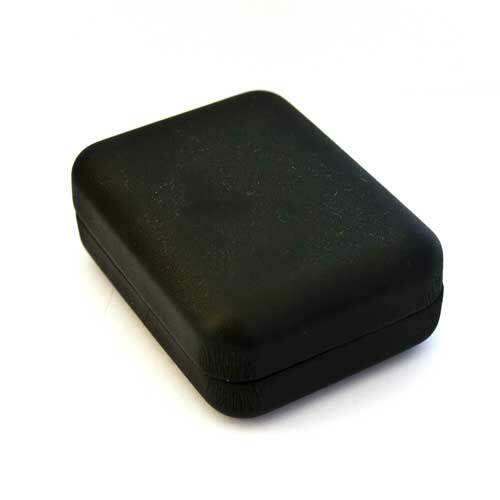 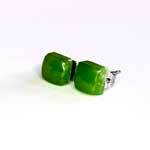 This pendant is suspended from an silver cable chain and comes in a black jewellery box. 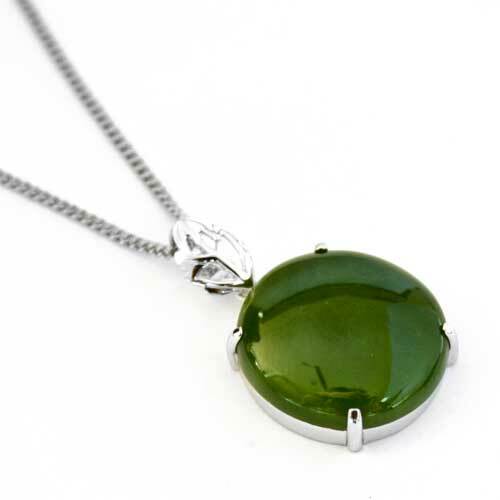 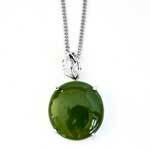 This elegant Round drop pendant measures 34mm long and 20mm wide. 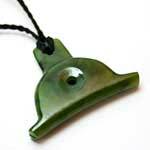 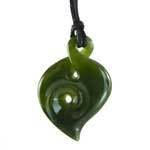 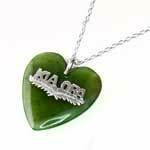 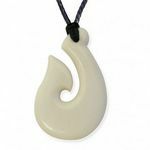 When the first European settlers arrived on the West Coast of the South Island of New Zealand, they found the Maoris were using tough, hard and very besautiful green stone to make war weapons, cutting and carving tools and articles of personal adornment.